This is one of the bedrooms with 4 single pine beds, independant lights over each. 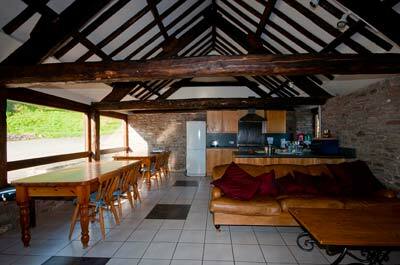 Well equipped Bunkhouse kitchen and a flexible windowed seating area to suit your party. 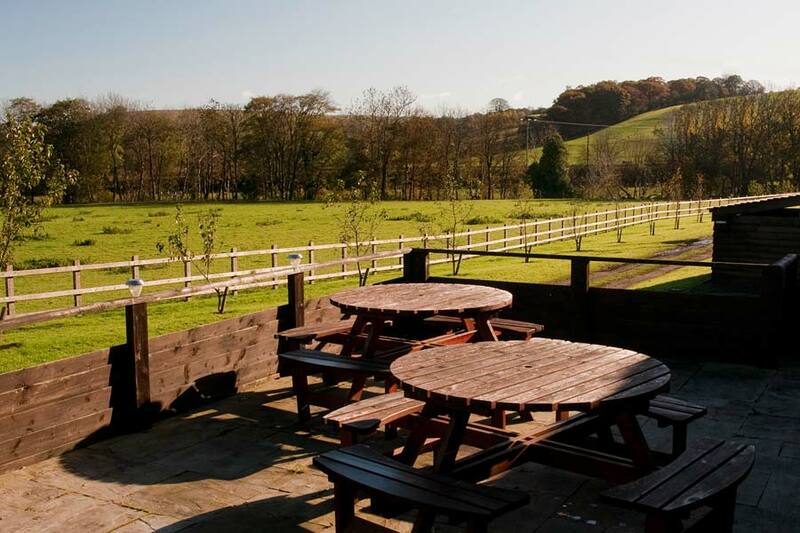 We have BBQ facilities available, you just need to supply charcoal. We also have a fire bowl and can supply logs if required. 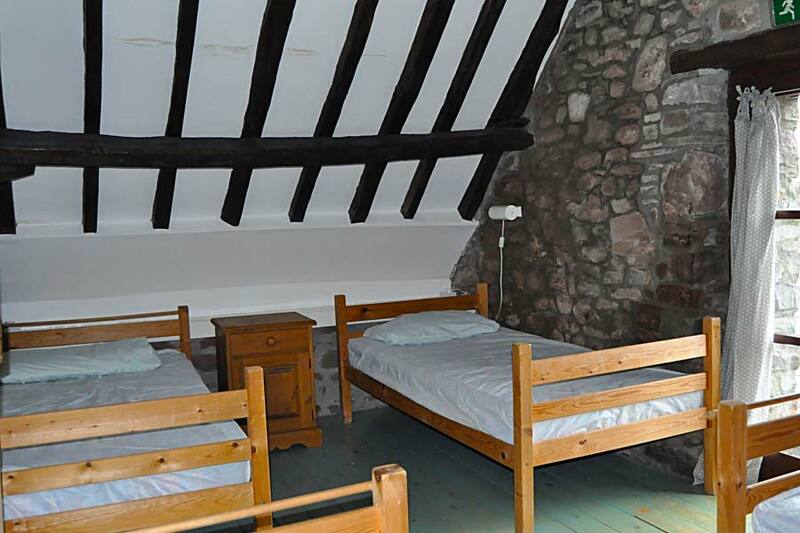 The Bunkhouse is situated in the charming and historic village of Trecastle, 15 to 20 minutes from the county town of Brecon and the same distance from the market and ancient drovers town of Llandovery in the other direction.Being within the Brecon Beacons National Park we benefit from the wonderful scenery and quiet country life associated with the area.